Verify: Is there a secret chemtrail spraying program? As social media sites continue to gain traction in spreading misinformation, one decades-old conspiracy theory is apparently gaining traction. 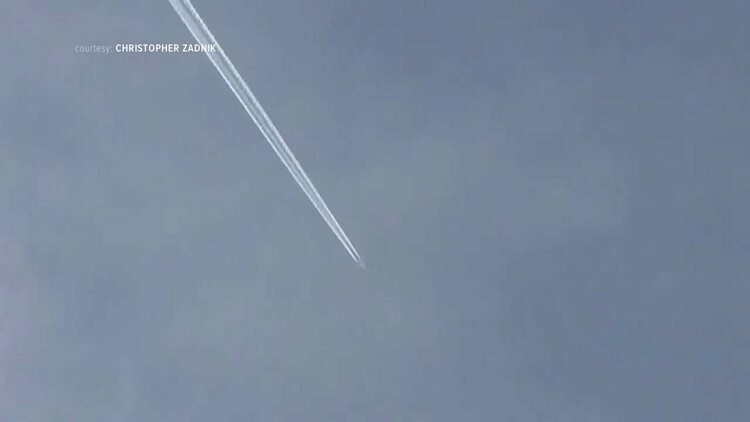 DENVER – For decades followers of the “chemtrail” conspiracy theory have been convinced, and have tried to convince others, that the government – or some evil shadow organization – is deliberately spraying the skies with harmful chemicals. The theory can involve different beliefs but always starts with the white lines left behind by aircraft in the sky. Those who believe the conspiracy theory are convinced the trails contain chemicals either meant to control the population or alter the weather. Scientists have long avoided addressing the theory, but as social media sites continue to fertilize the belief, climatologists have recently begun to respond. Recent surveys indicate more than 1 out of 5 people believe in some sort of chemtrail theory. Can you blame the believers? Over the years, the government doesn't have a good track record of telling the truth. Chemtrail believers like Chris Zadnik of Denver are quick to point out cases where the government lied about experiments on people - like the Tuskegee syphilis study. The study involved African American men who were misled about their treatment and were not receiving proper treatment to cure syphilis. Zadnik runs a YouTube channel full of what he calls “chemtrail” videos. He also routinely uploads images to his Facebook page where he talks about a secret spraying program. A scientific study – does a secret, large-scale atmospheric spraying program exist? In 2016, researchers from the Carnegie Institution for Science at Stanford University and the University of California, Irvine, conducted a survey including 77 of the world’s leading atmospheric scientists – 76 of whom concluded chemtrails don’t exist. “Before our study, there was nothing in the quality peer-reviewed literature that addressed this issue,” said Dr. Ken Caldeira, a climatologist at the Carnegie Sciences Institute at Stanford, and one of the authors. According to the survey, 98.7 percent (76 of 77) of the scientists categorically rejected the existence of a secret spraying program. One scientist in Alaska was the holdout. “The one participant who answered yes said the evidence s/he had come across was ‘high levels of atm[ospheric] barium in a remote area with standard low soil barium,’” the study read in part. Caldeira explained that the scientist did not believe there is a secret program to spray chemicals using aircraft, but was only reporting the inability to explain the higher levels of barium in a sample. “I don’t know why people who have scientific questions who, instead of going to the scientist, they’ll go to some crazy website and believe the crazy website,” Caldeira said. 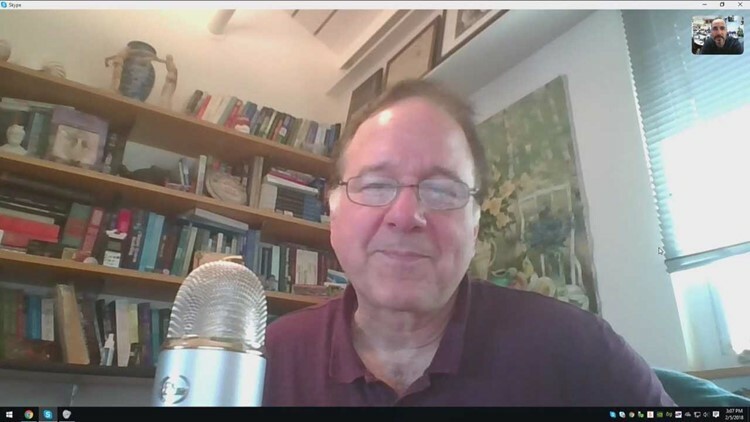 Though Caldeira has shown there is no evidence to suggest a large-scale secret spraying program, he has indicated that research in the field of geoengineering, or using aircraft to manipulate the climate, is worth studying. So. What’s really in those white lines behind airplanes? Aviation experts and pilots call the white trails condensation trails - or "contrails" for short. 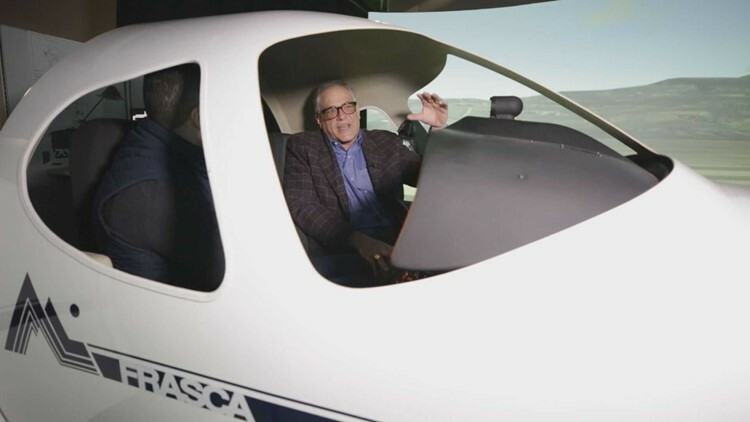 “The white line behind a jet is a natural process that goes on with the aerodynamics of the aircraft and the atmosphere,” said Dr. Jeffery Forrest, the chair of the Aviation and Aerospace Science department at Metropolitan State University of Denver. As jet fuel burns, the exhaust is mostly made up of water vapor and trace amounts of nitrogen, sulfur, microscopic particles of metal and soot. When humidity levels are high in cold air, water vapor can turn to ice crystals and condense on the soot particles, resulting in a cloud. Contrails can remain in the air for hours if the atmospheric conditions are just right. “And that is part of the fear factor that some people hook themselves into because they see a contrail being formed, and then hours later it is still there, and then maybe it seems to be growing,” Dr. Forrest said. Despite that fear, there is no evidence that any conspiracy exists to spray chemicals into the air. Further, the best evidence that does explain why the trails form behind aircraft, and why they sometimes persist, is explained through the same basic chemistry that explains cloud formation.